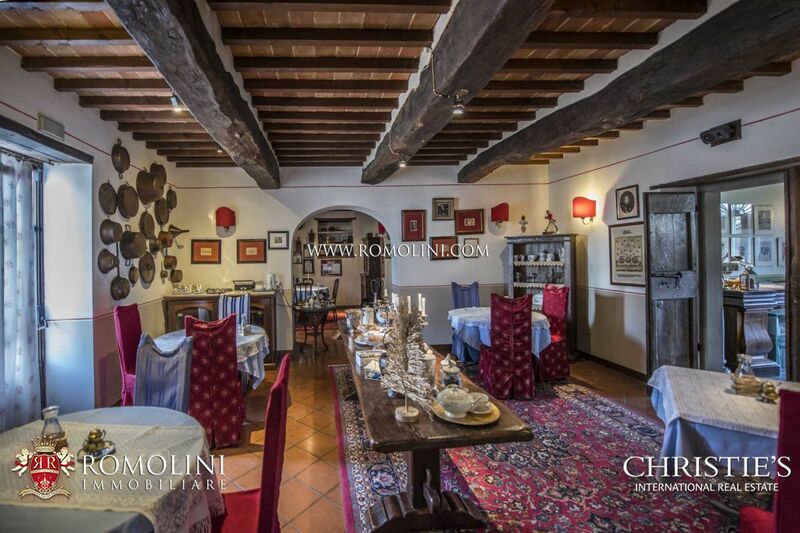 Hotel with Restaurant and Pizzeria for sale in Tuscany, Italy. 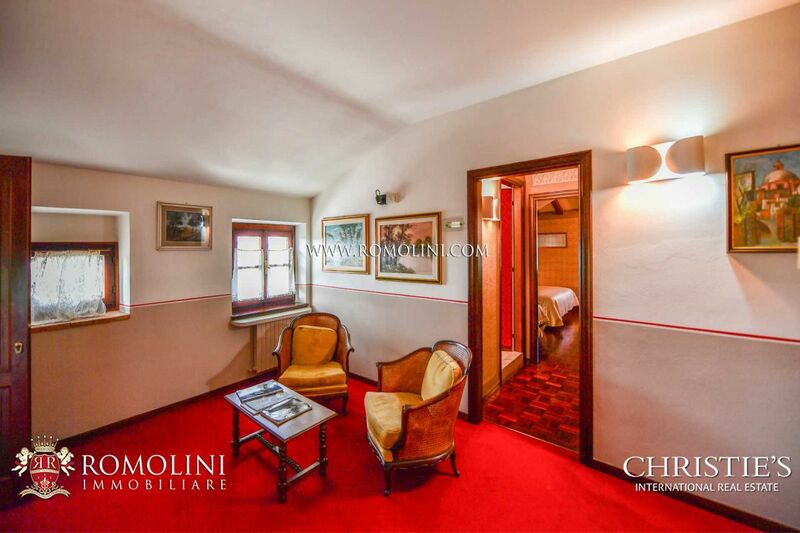 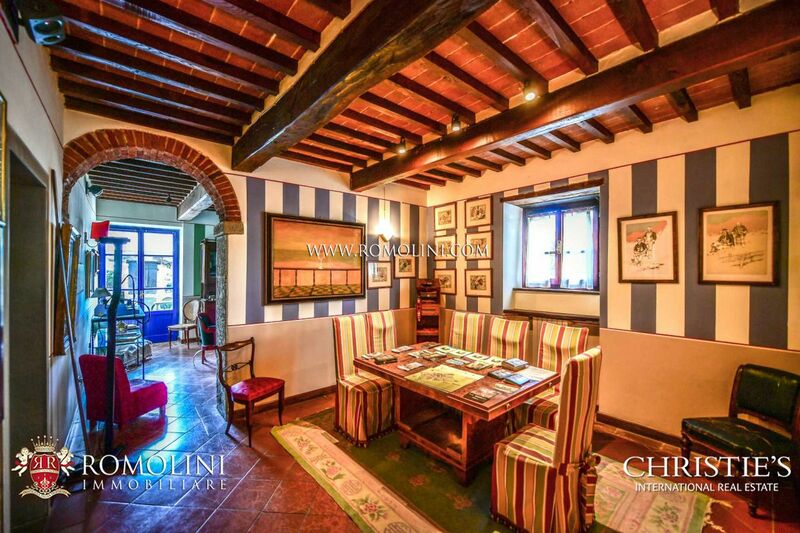 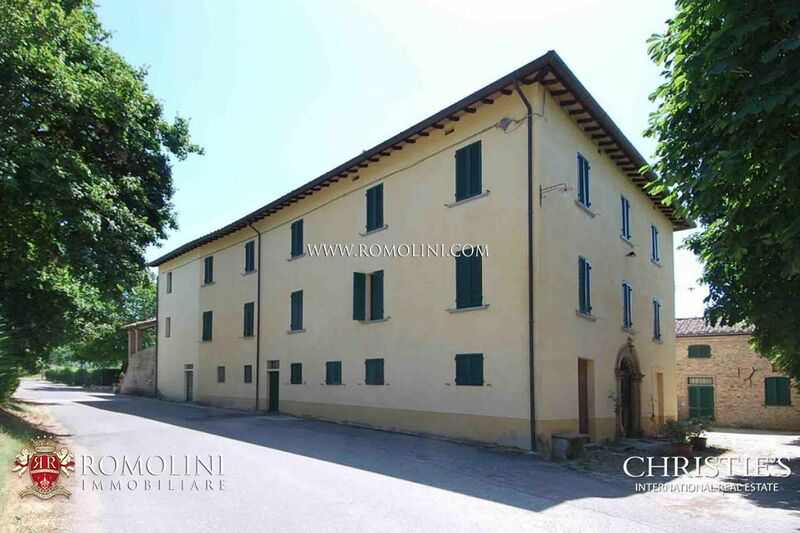 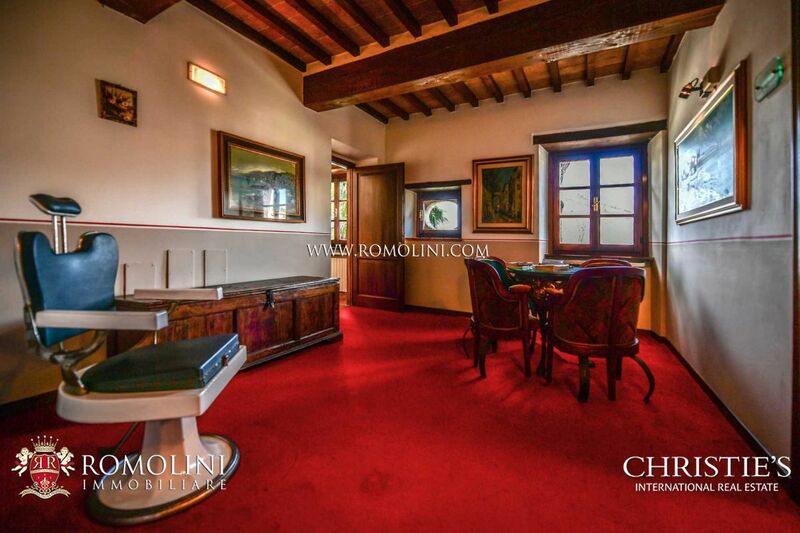 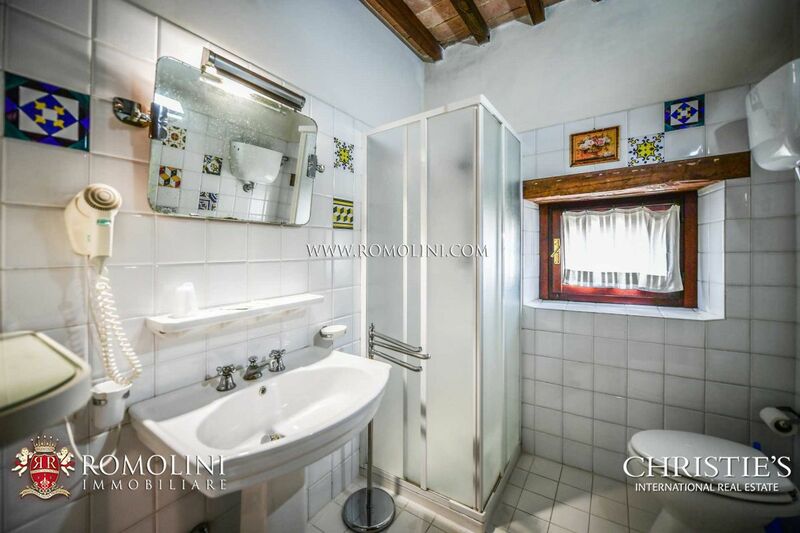 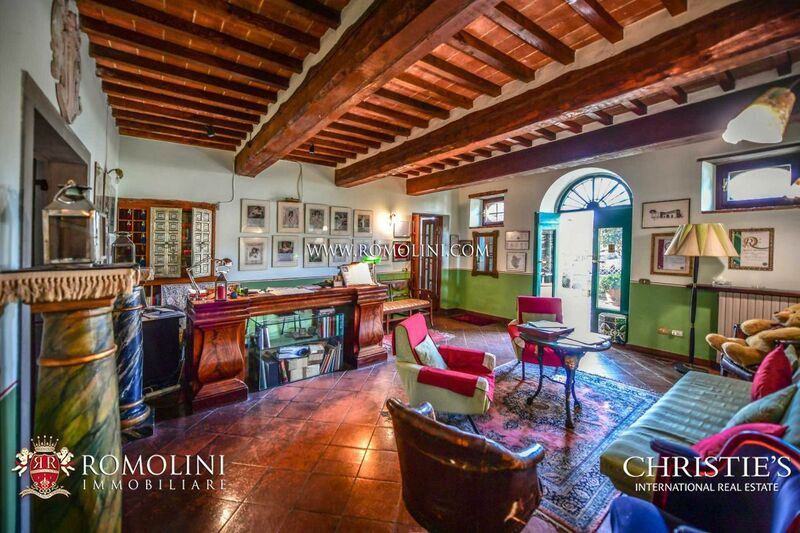 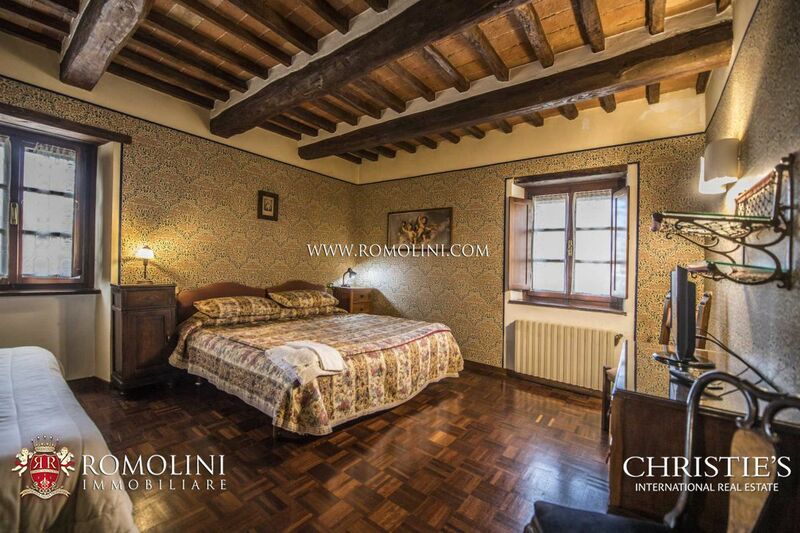 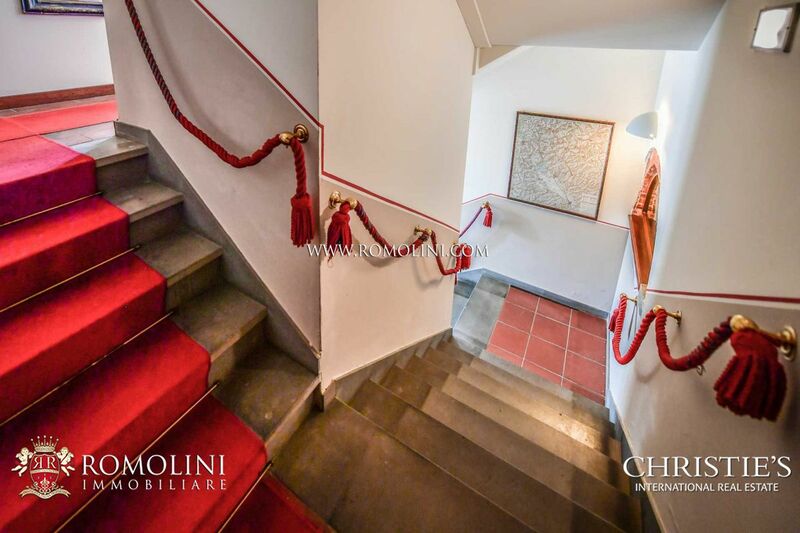 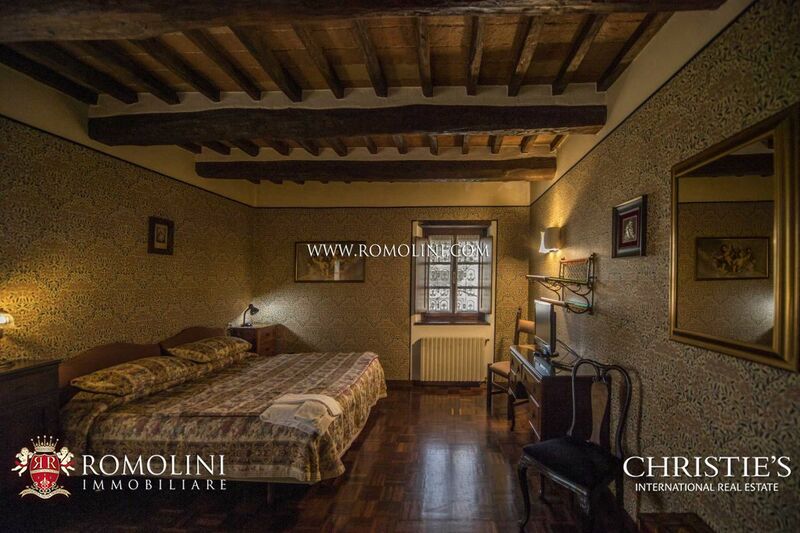 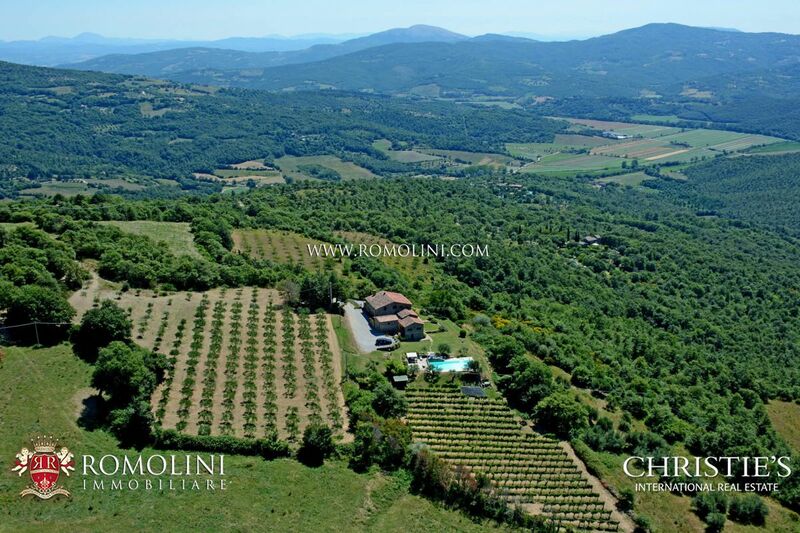 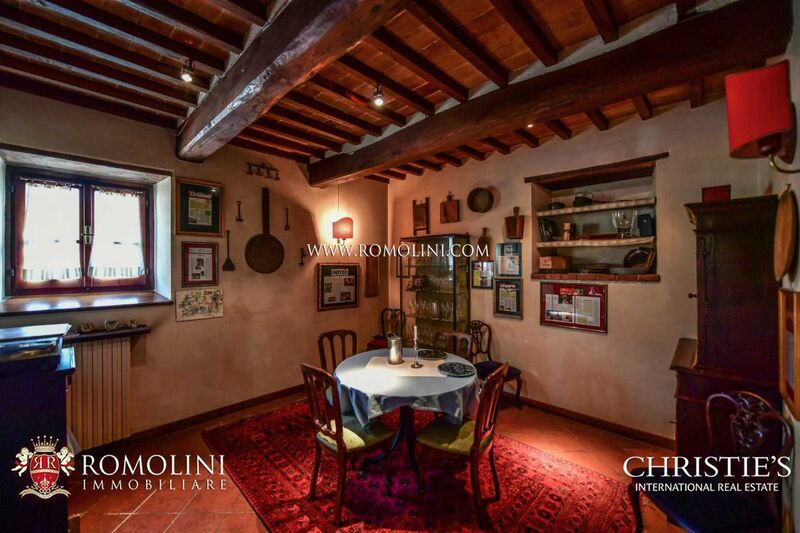 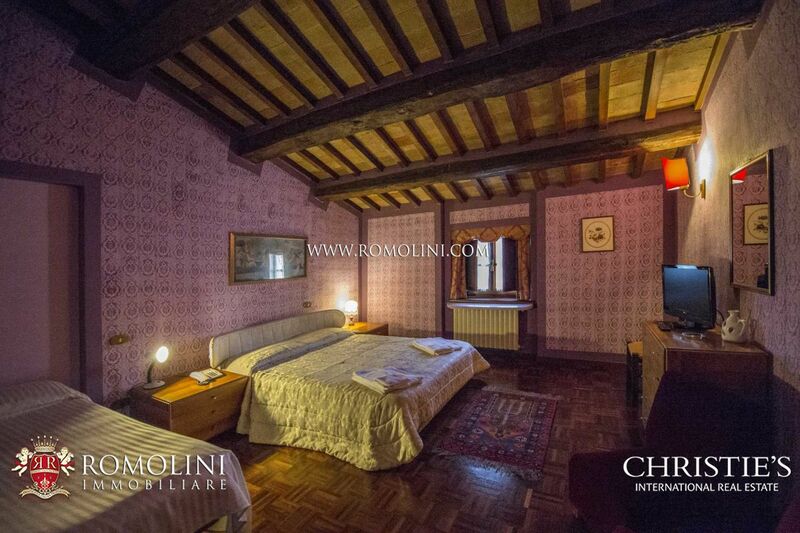 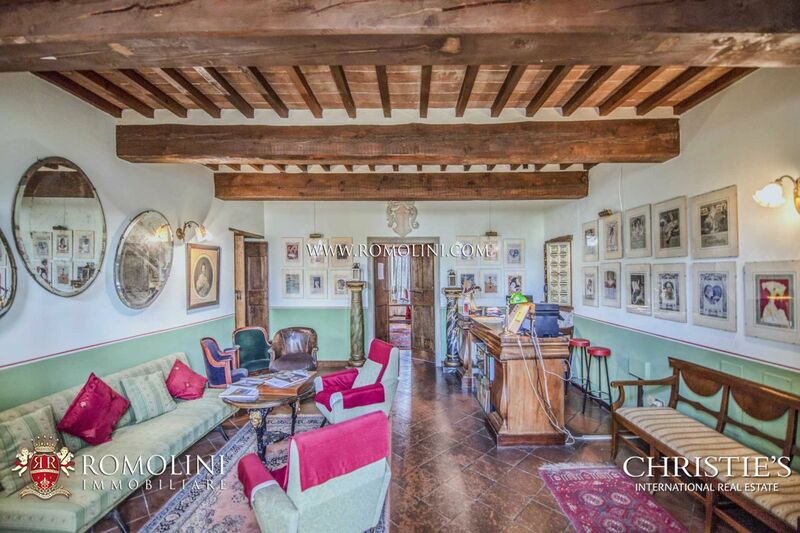 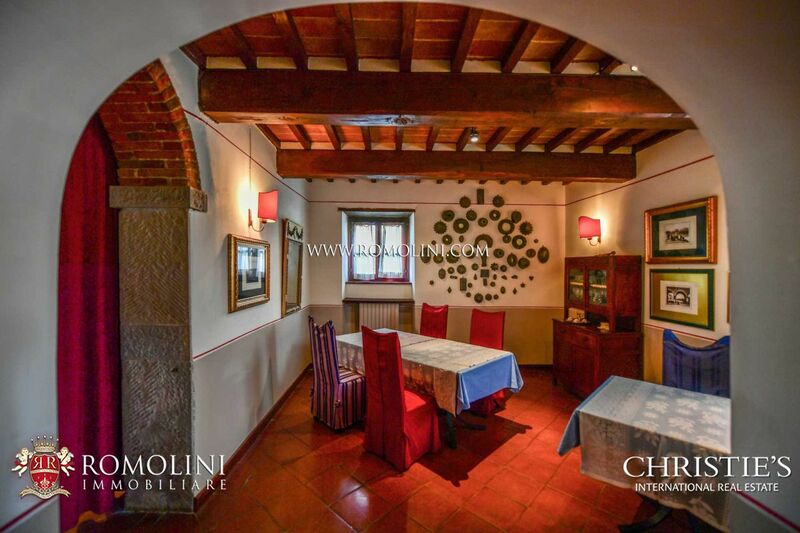 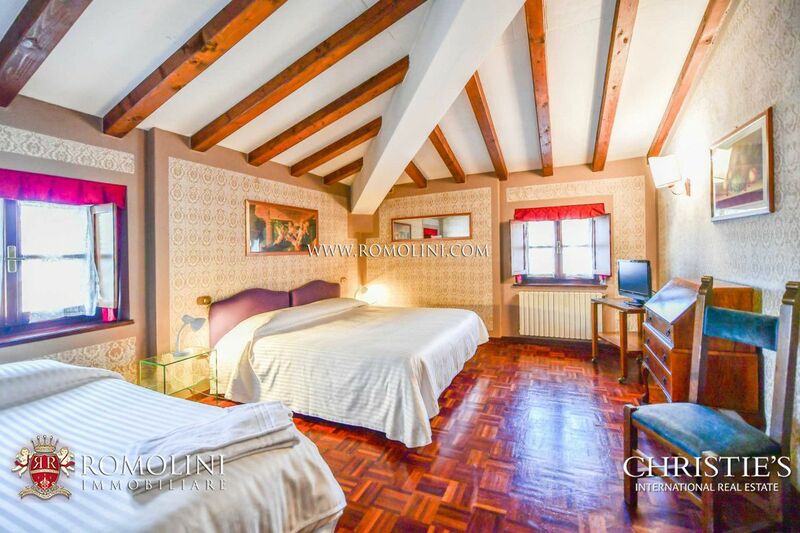 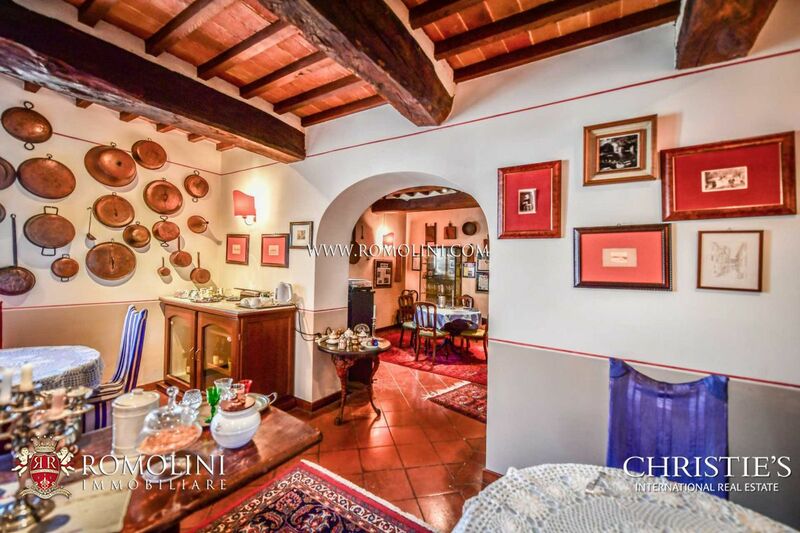 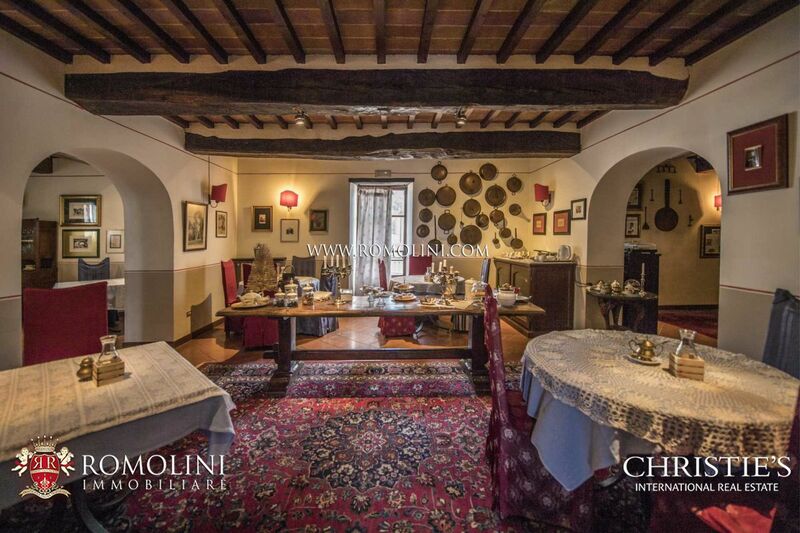 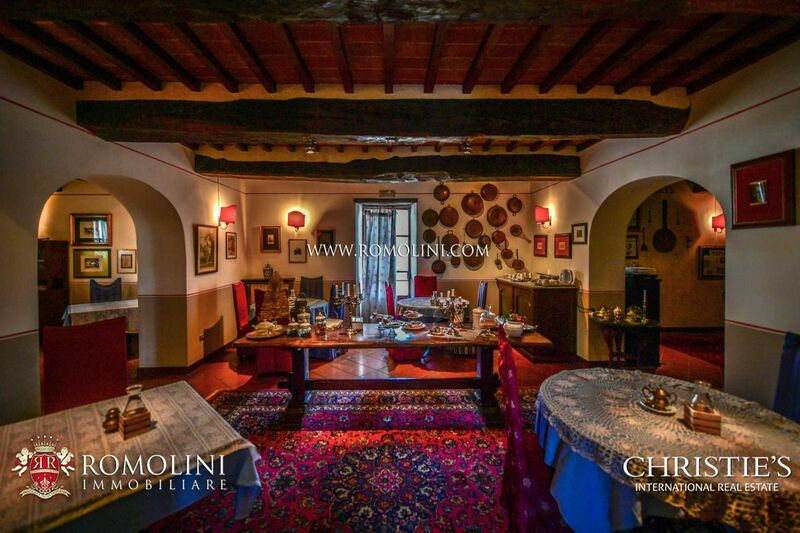 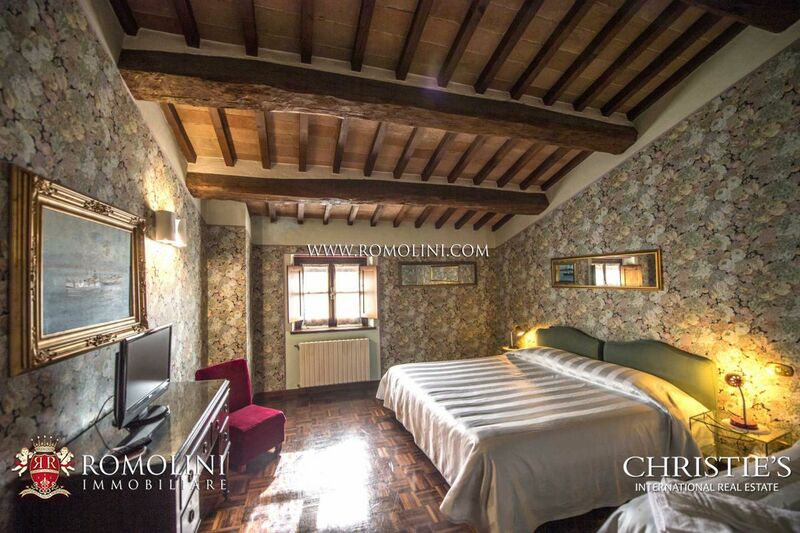 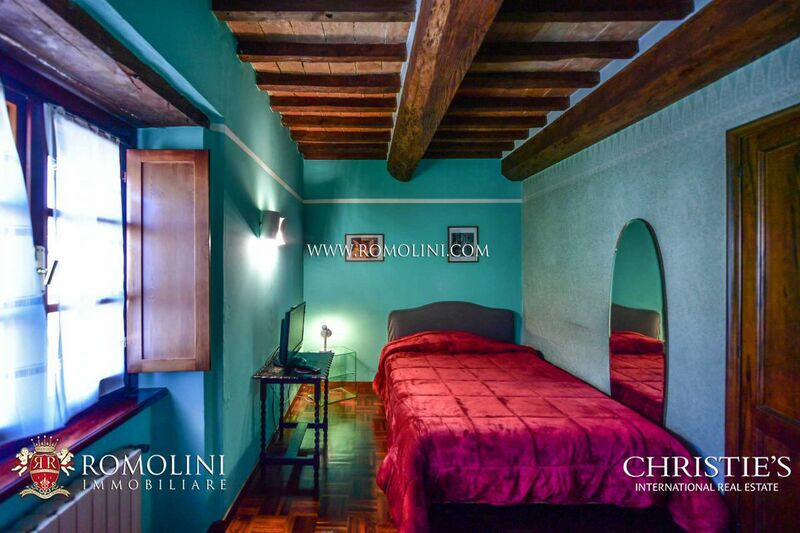 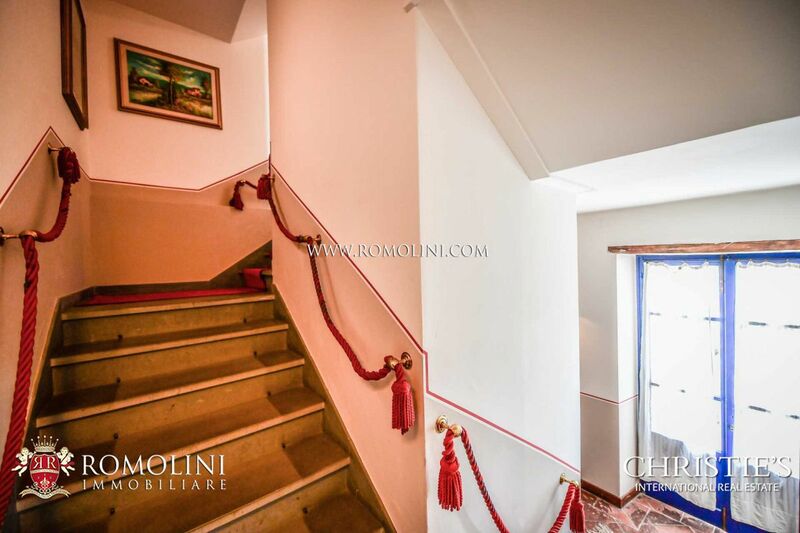 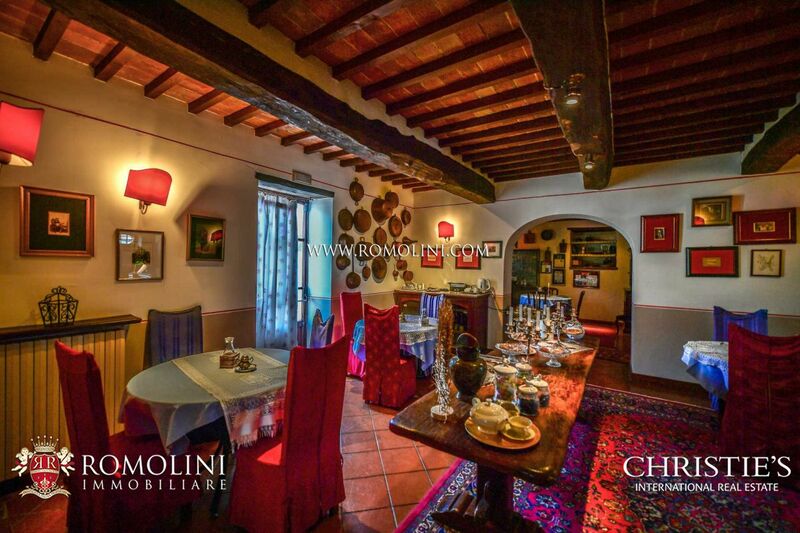 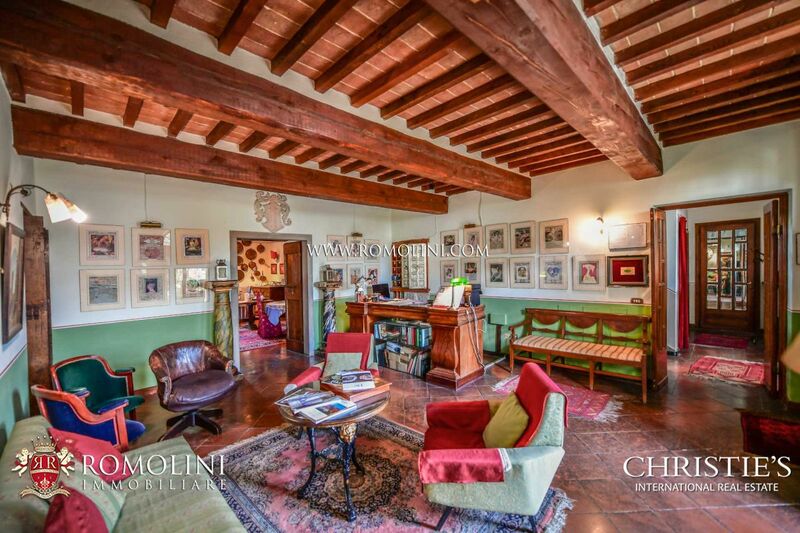 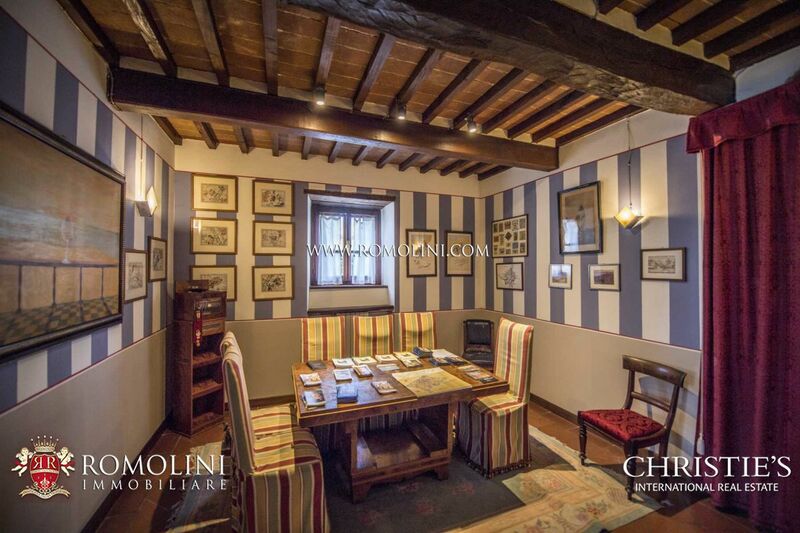 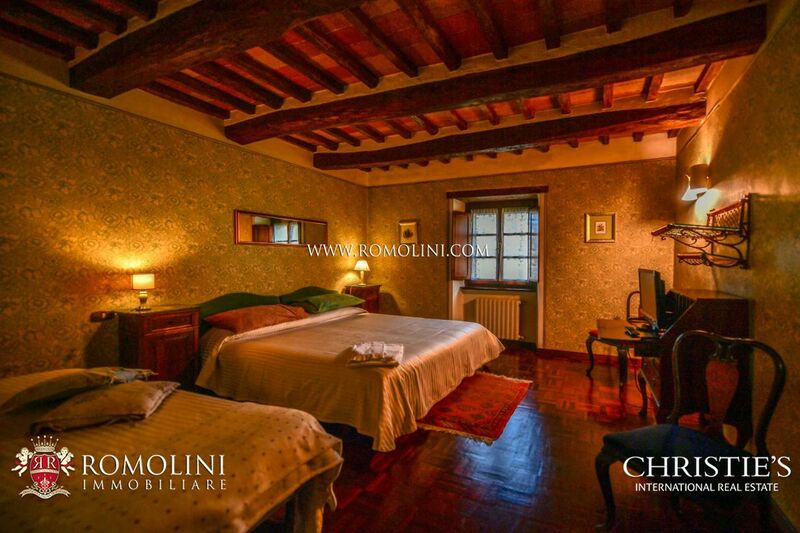 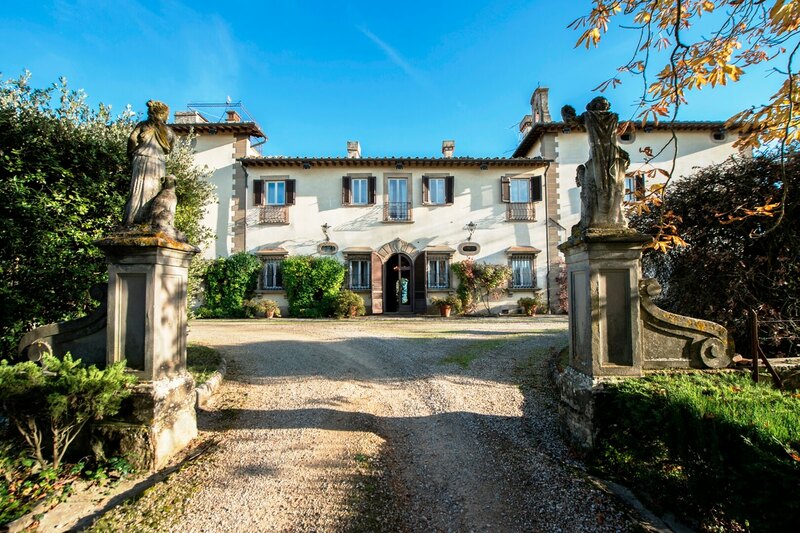 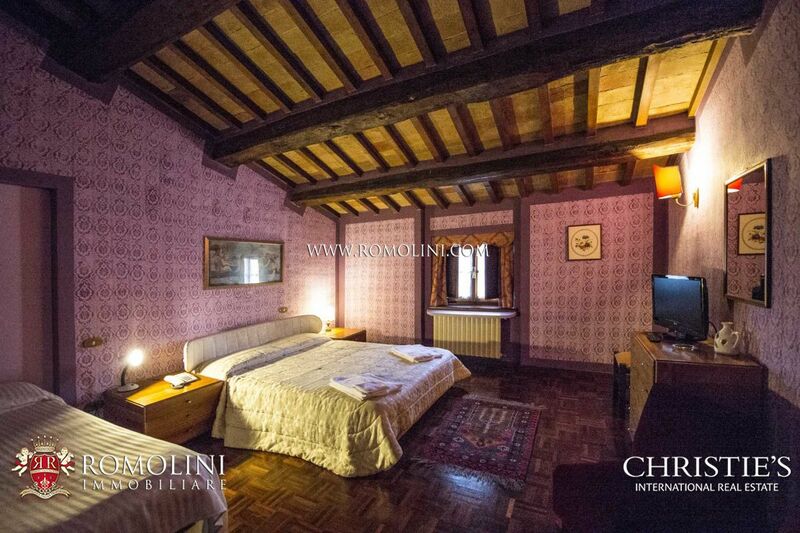 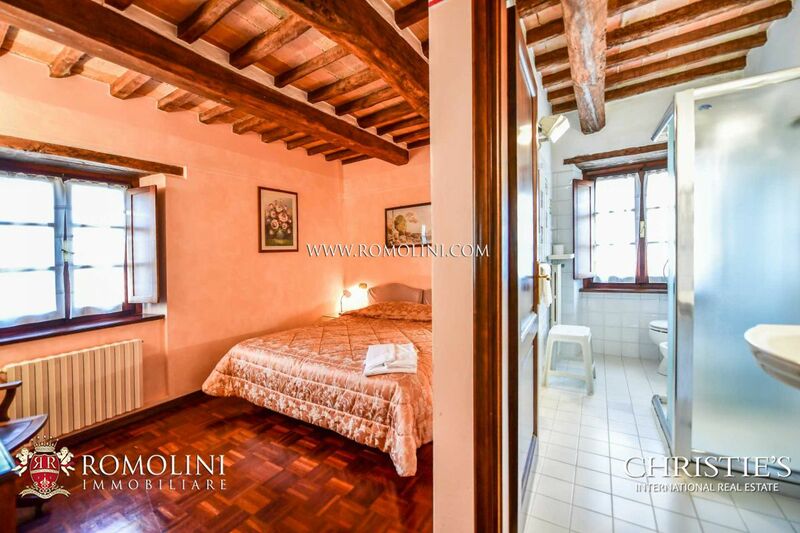 The property is located in a residential area of a historical town of the Upper Tiber Valley, between Tuscany and Umbria. 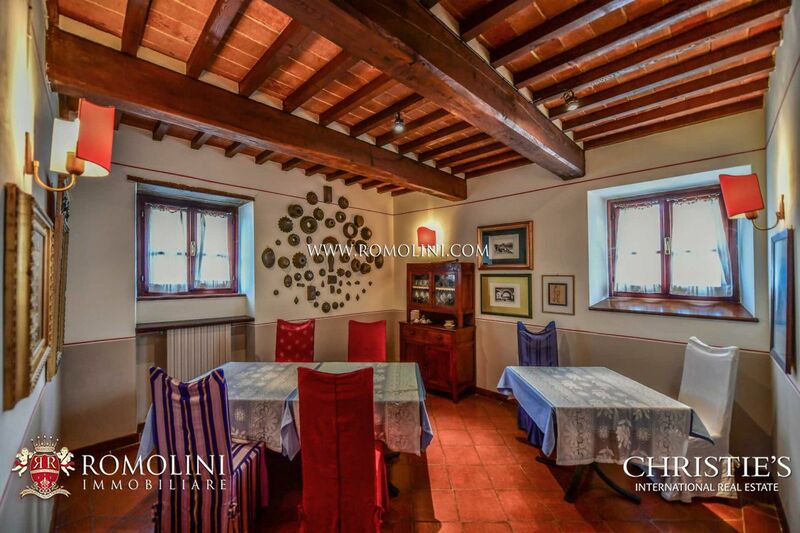 Only 2 minutes’ drive from the property there are two supermarkets and the historic center with restaurants and boutiques is just 1,3 km away. 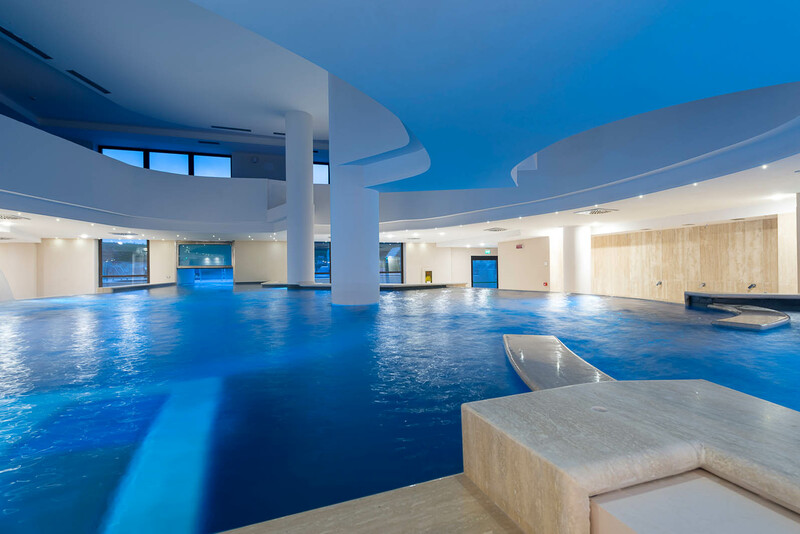 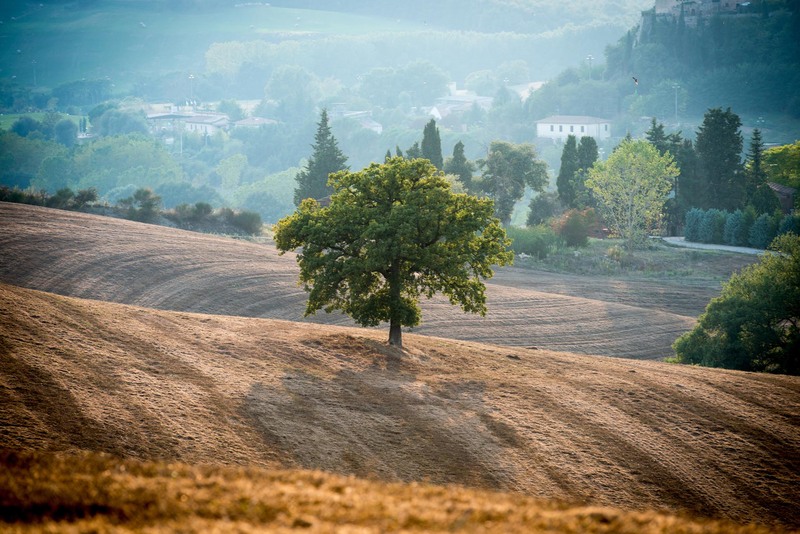 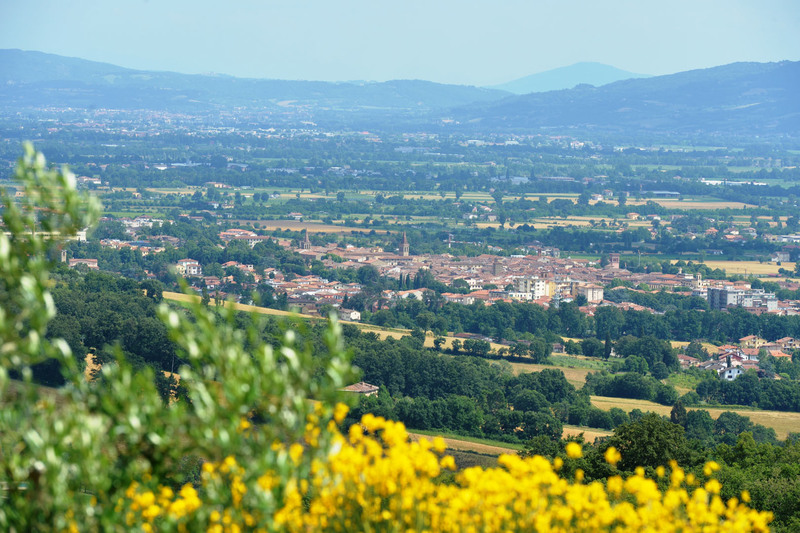 Arezzo (37km) is just 35-minute drive, while the E45 dual carriageway is just 2 km away and allows you to reach Perugia (70 km) in just over half an hour and Rimini (127km) in one hour and a half. 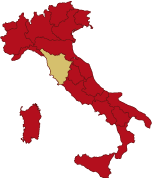 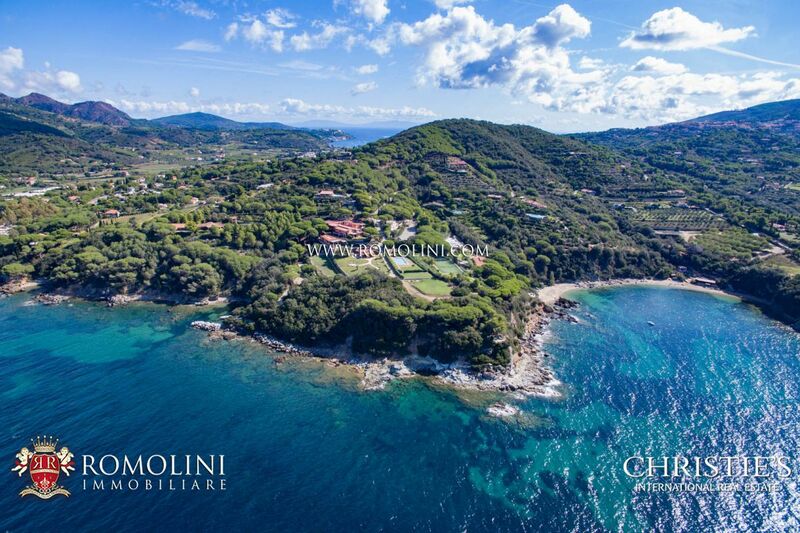 The nearest airport is Perugia Sant’Egidio (70km) reachable in less than an hour, the airports of Rimini Federico Fellini (132km) and Firenze Peretola (126km) in an hour and a half, while the international airports of Rome, Roma Ciampino (250 km) and Roma Fiumicino (267km), can be reached in two hours and a half. 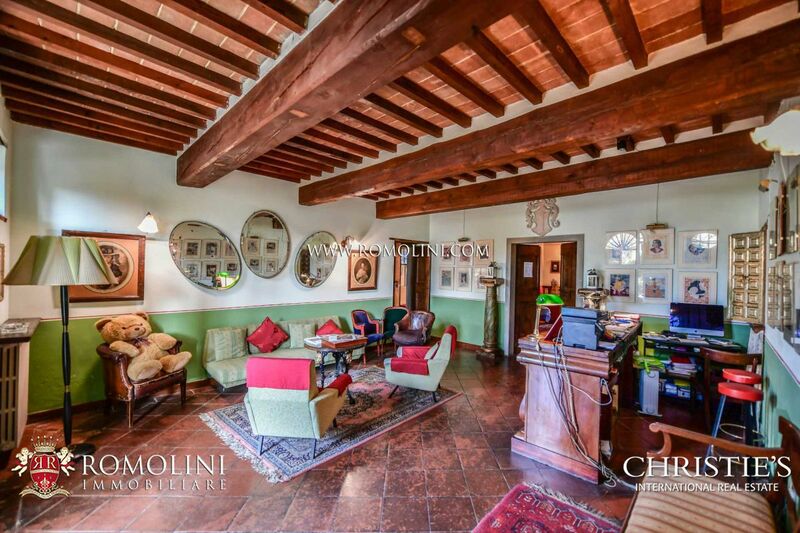 The villa, result of the careful renovation of a Tuscan manor house, is spread over four levels, composed as follows. 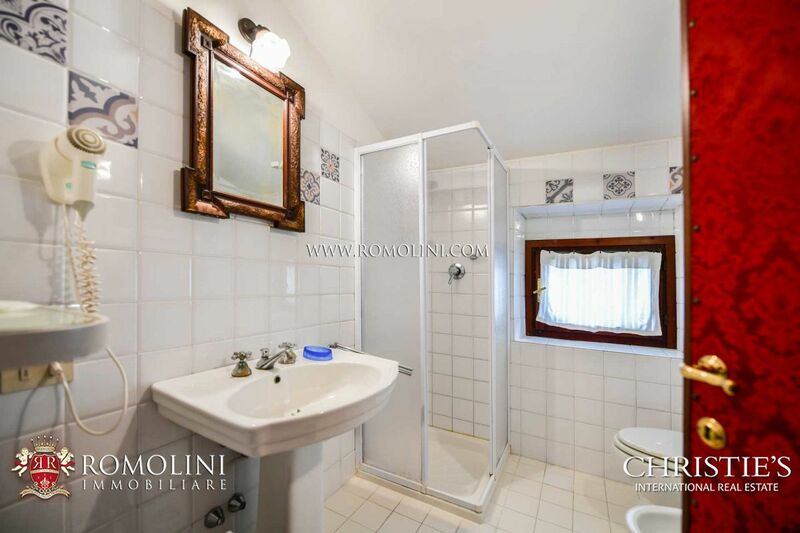 - Basement floor: technical room and storage rooms. 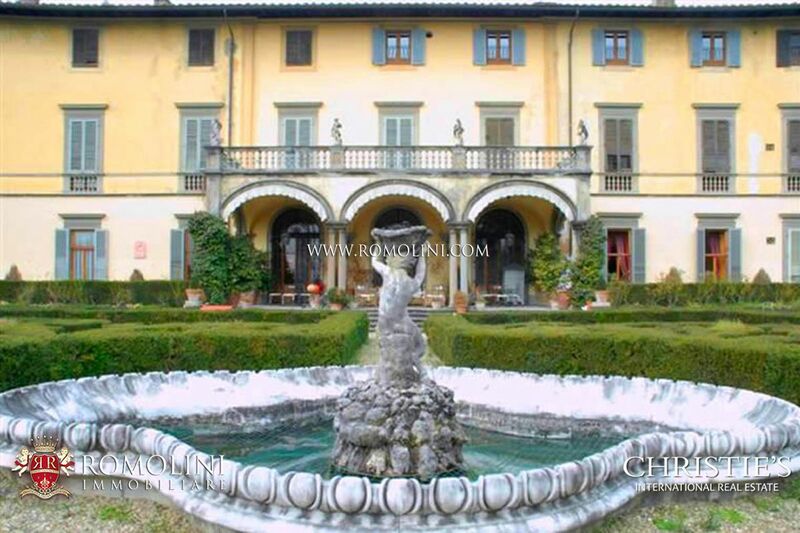 - Ground floor: large foyer, four restaurant rooms, professional kitchen, wine cellar, restroom. 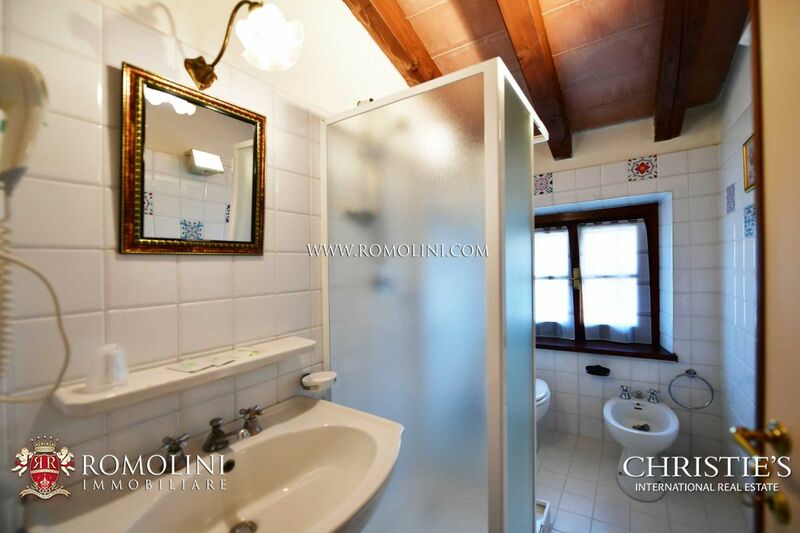 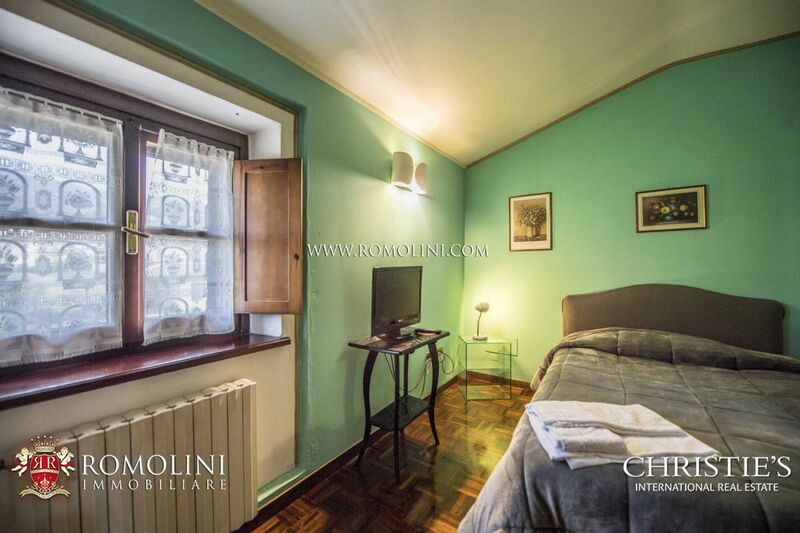 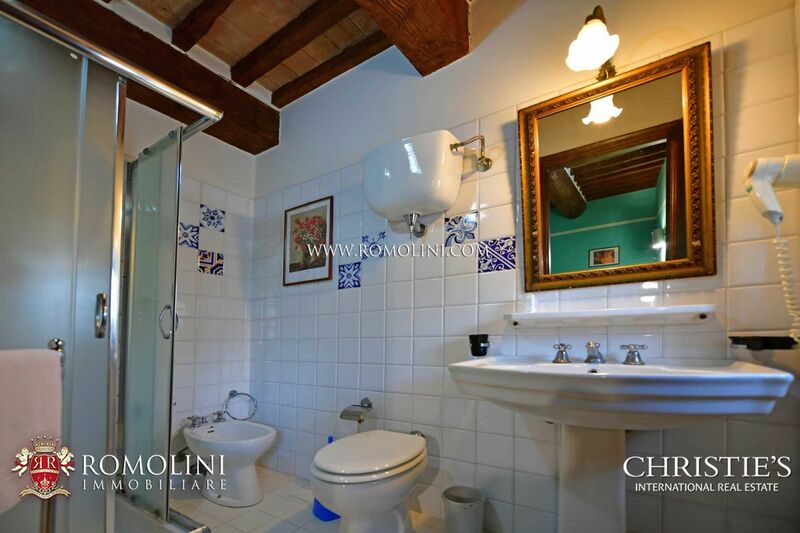 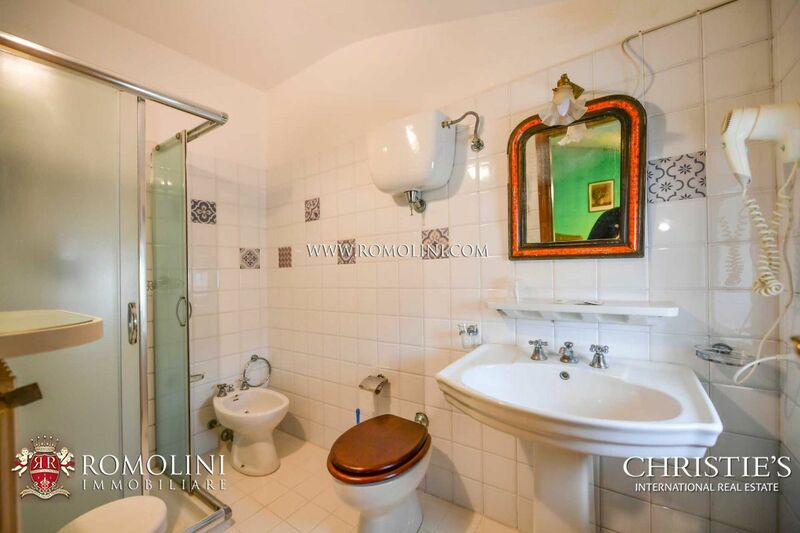 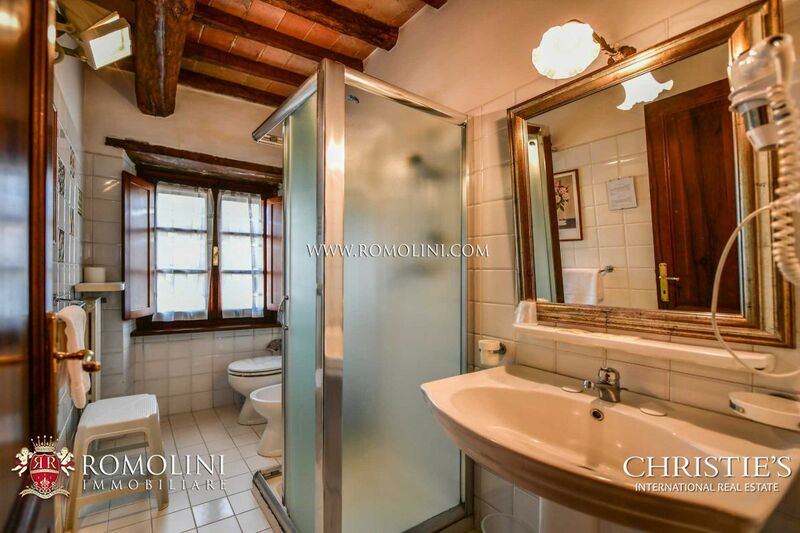 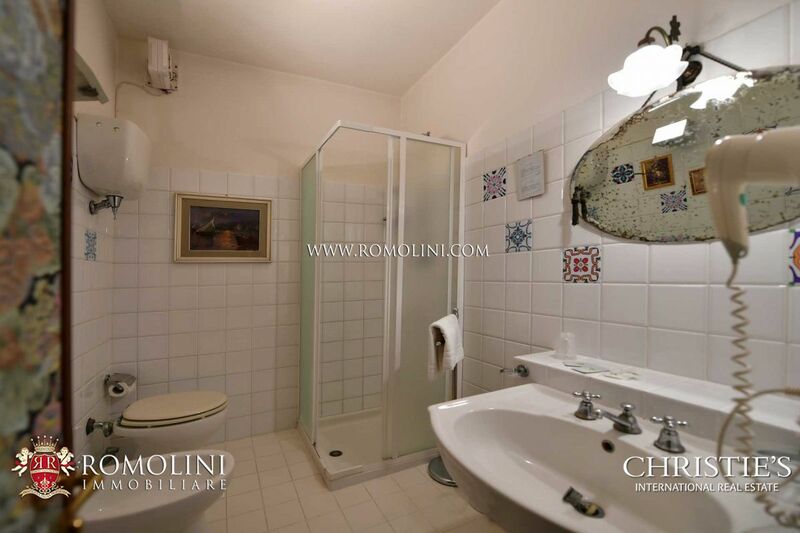 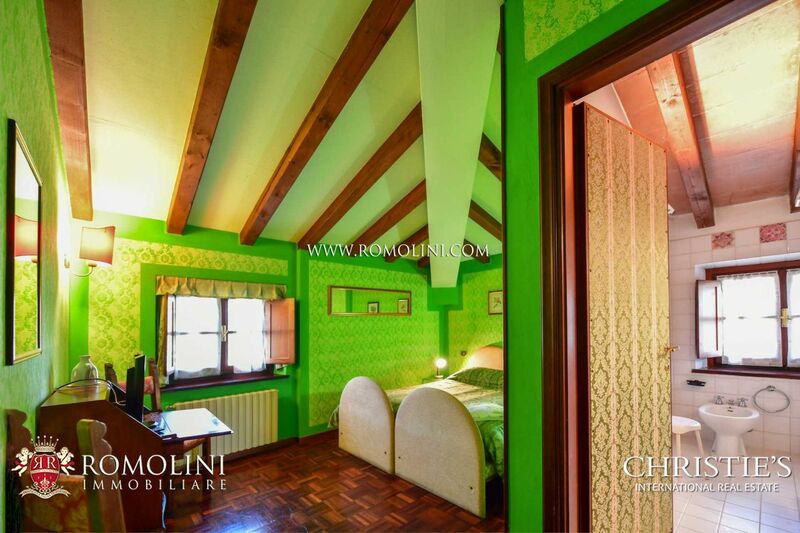 - First floor: four bedrooms, each with en suite bathroom. 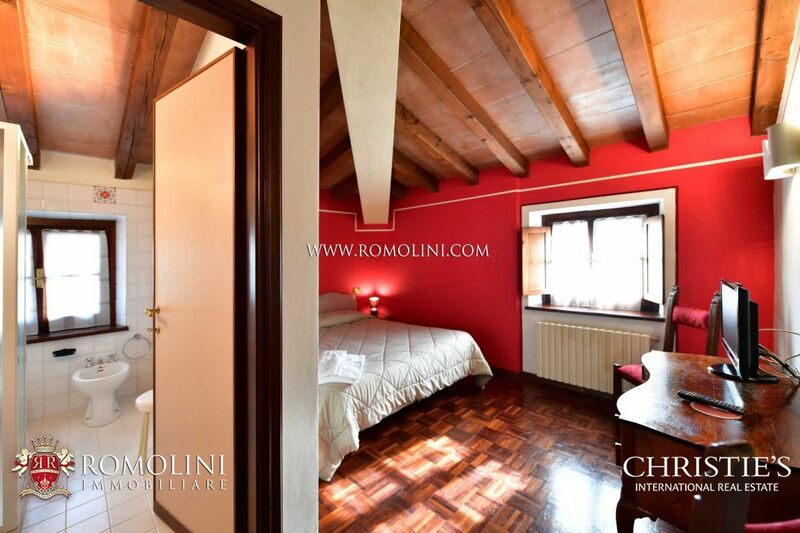 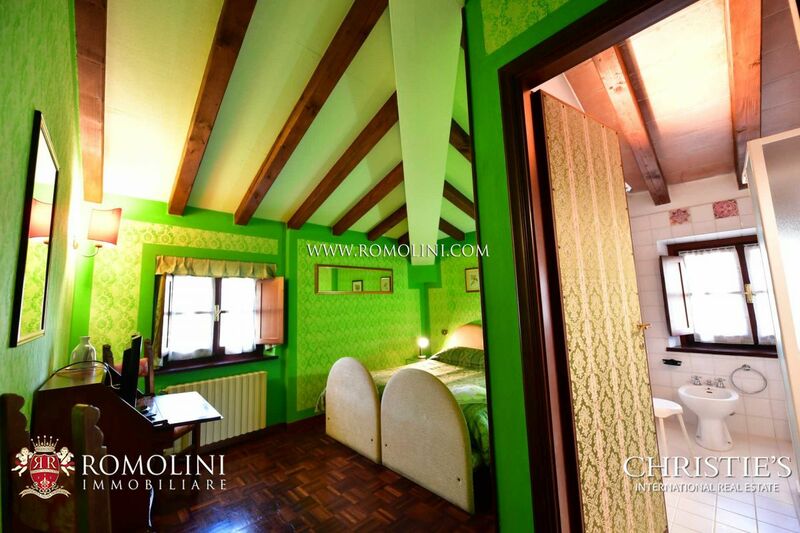 - Second floor: six bedrooms, each with en suite bathroom. 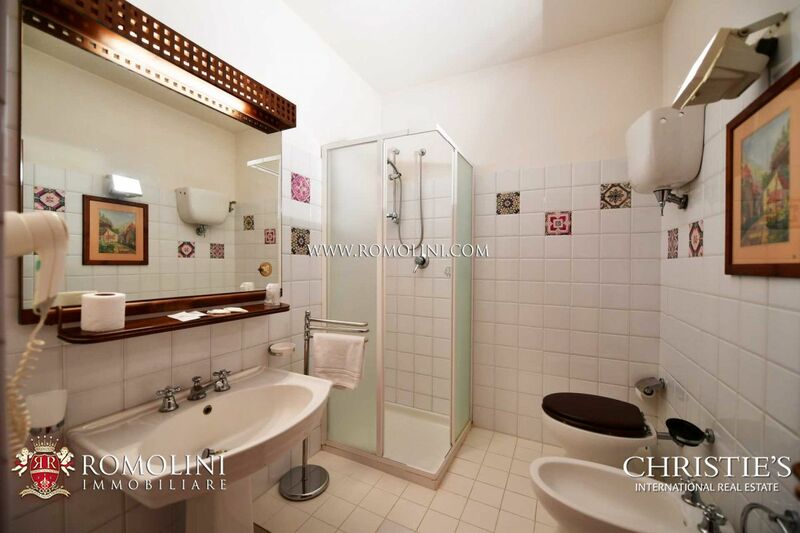 The caretaker’s lodging, located on the first floor of the villa, is composed by kitchen, large open space with access to the terrace, two bedrooms with en-suite bathroom and direct access to a veranda, bathroom. 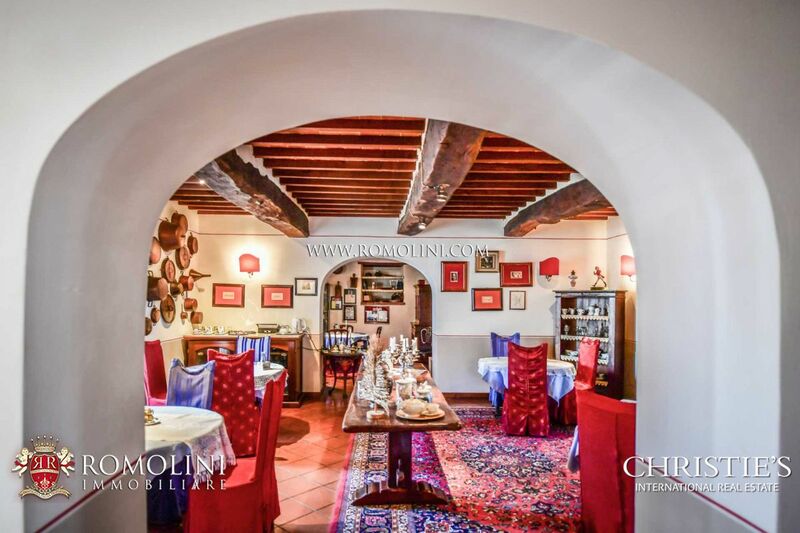 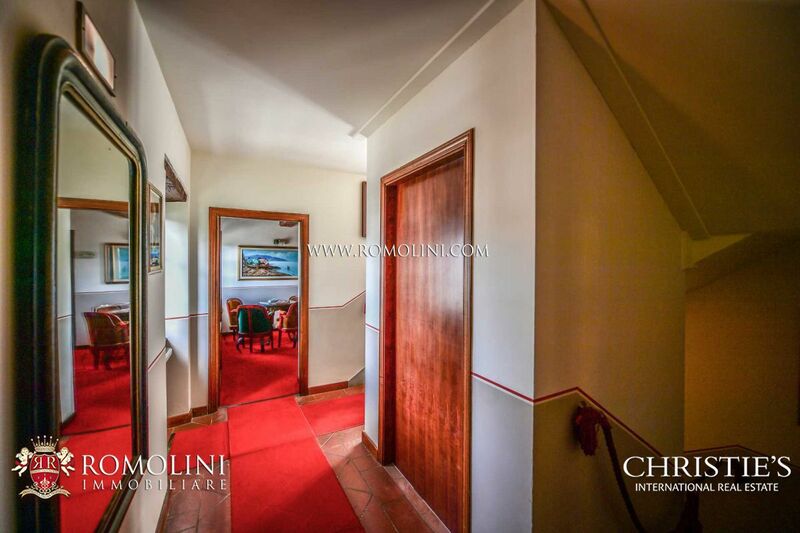 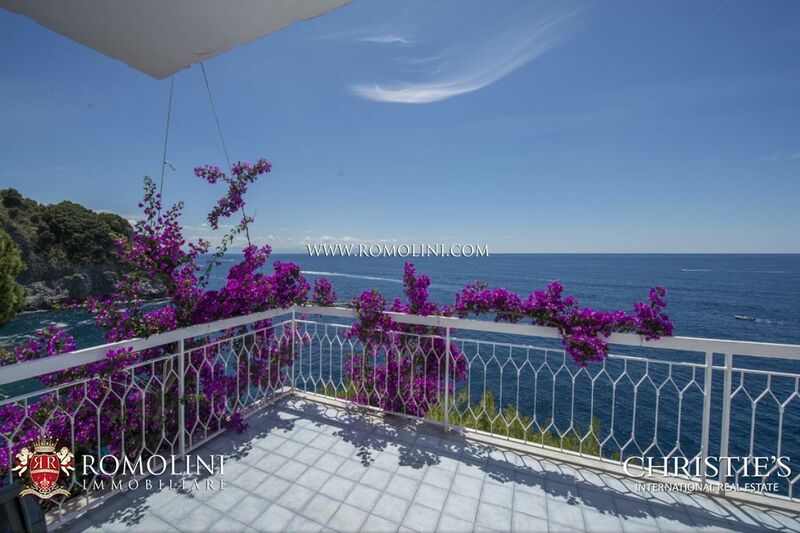 Located on the ground floor of another independent wing of the villa, the Pizzeria it is composed of professional kitchen, wood-burning oven, restaurant rooms and restroom, for a total surface area of 200 sqm. 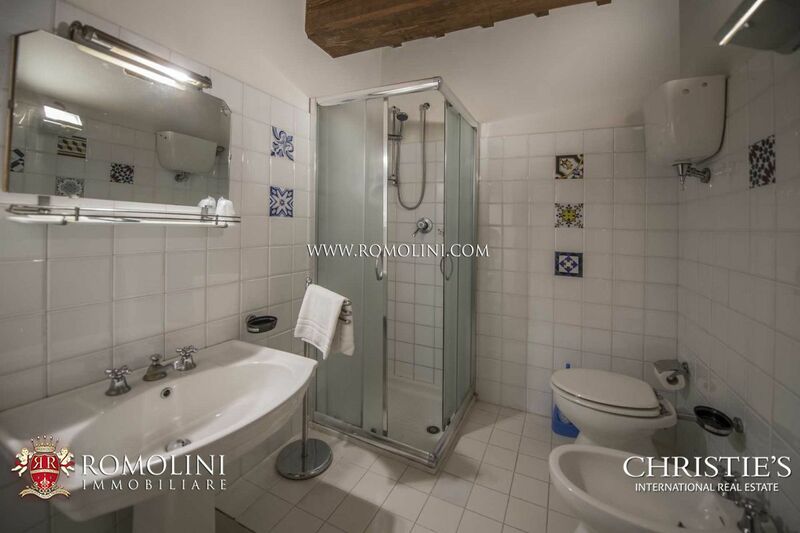 On the basement floor there are refrigerating rooms, storage rooms, technical room and half bath. 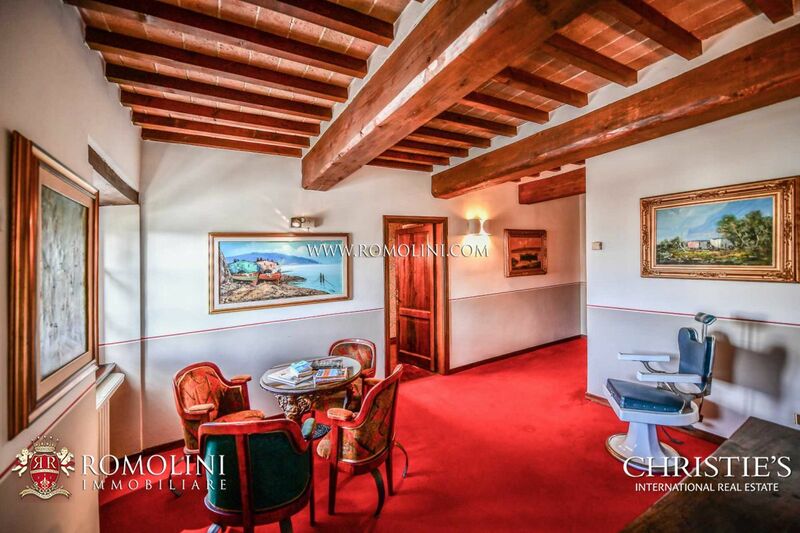 The villa is in excellent condition. 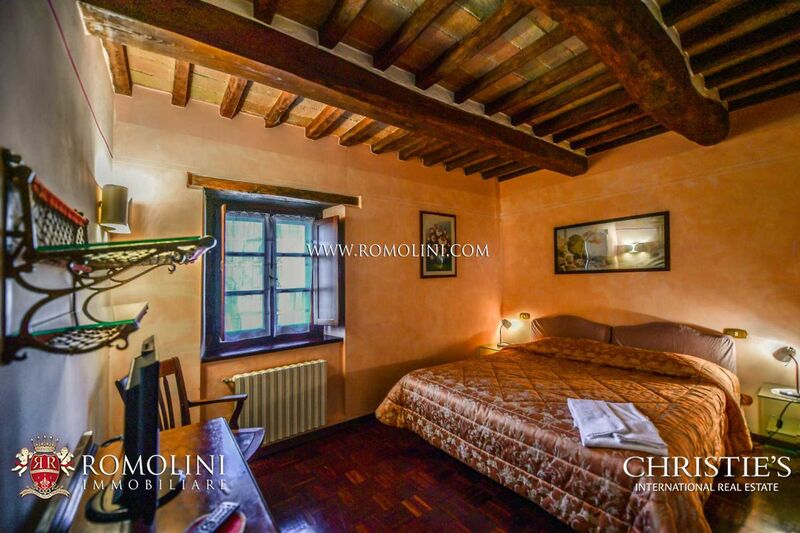 It has been carefully restored keeping intact its original elements – brick arches, old wood beams and original terracotta ceiling tiles. 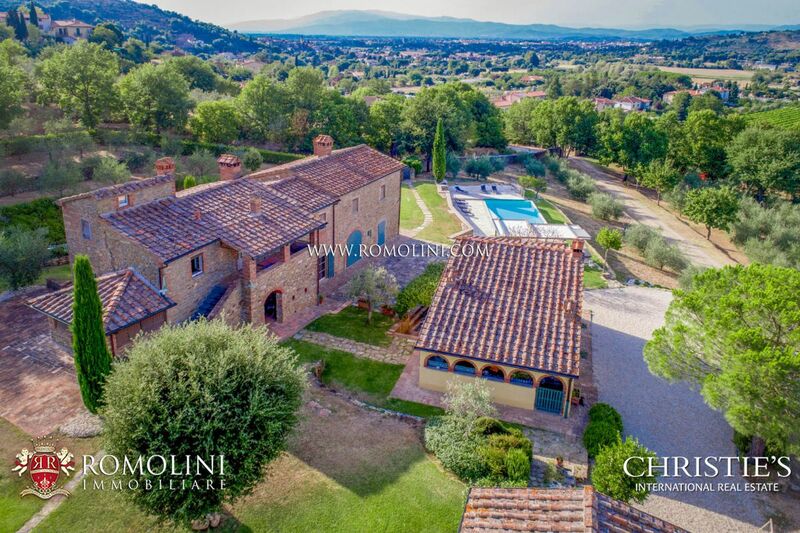 Even if the property is located in a residential area, the swimming pool with sunbathing area enjoys great privacy thanks to the high hedge surrounding the villa. 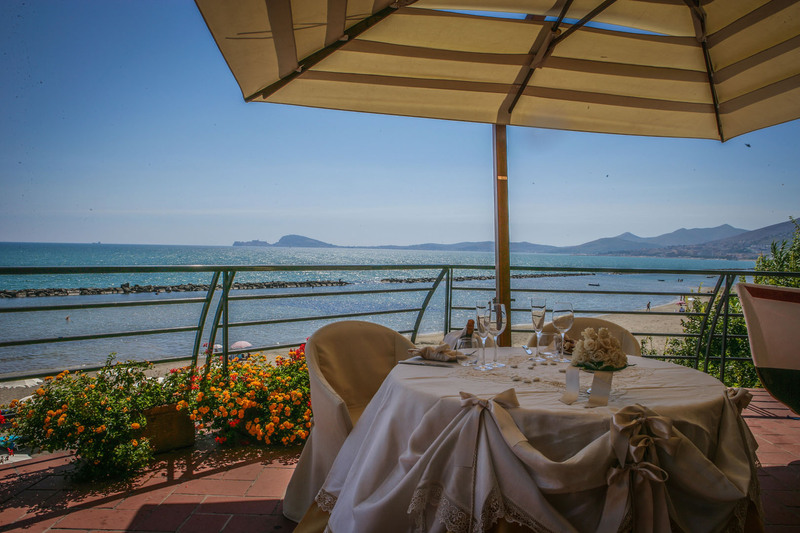 The Pizzeria features a well maintained garden, ideal for alfresco dining. 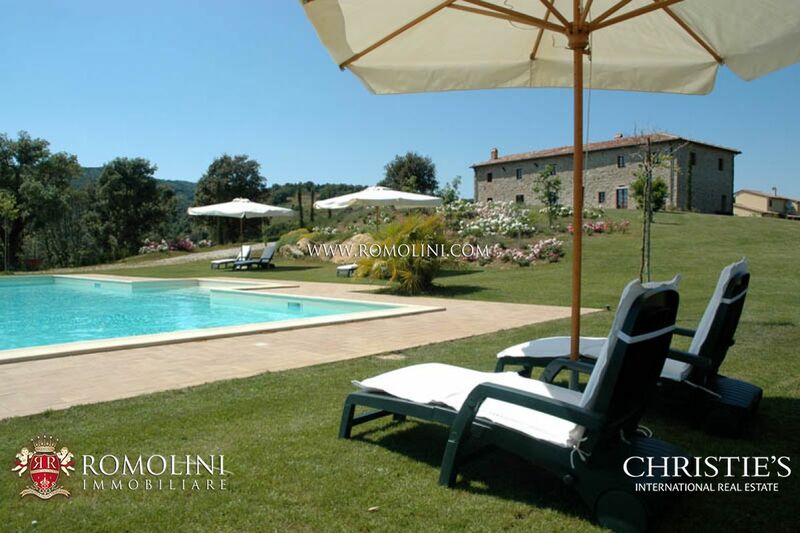 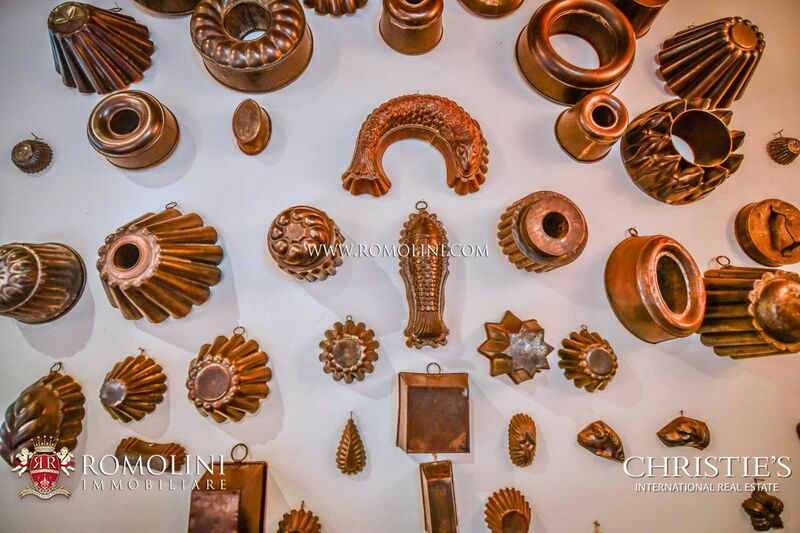 The property is currently running as accommodation business. 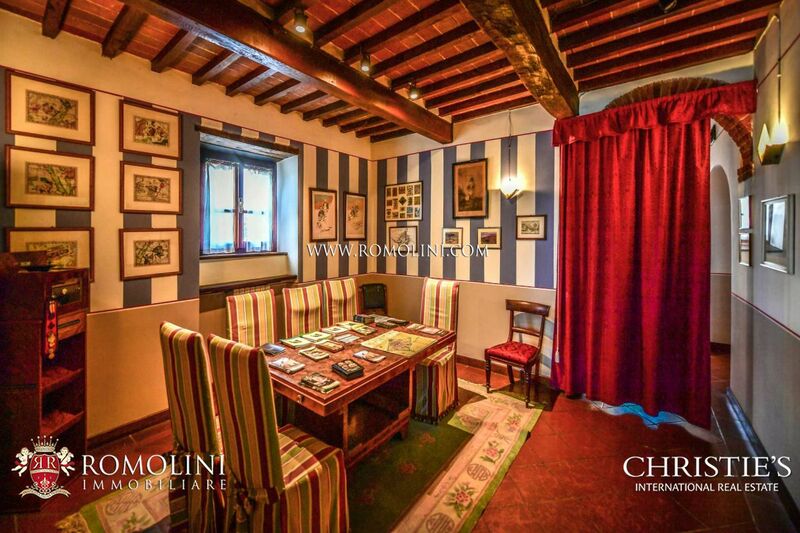 Thanks to its independent layout, the Pizzeria can be easily rented out to third parties.